Charleston, South Carolina – The Rockefeller Foundation and Chan Zuckerberg Initiative today announced that the South Carolina Community Loan Fund (SCCLF) will receive a $1 million grant in the Communities Thrive Challenge— a $10-million effort to expand economic opportunity for low-income and financially insecure people and communities across the country. The Charleston-based organization is one of 10 grantees — from nine states and Puerto Rico — selected because of their demonstrated success and potential for future impact. SCCLF provides loans and technical assistance to organizations that seek to strengthen the social and economic fabric of local communities throughout South Carolina. 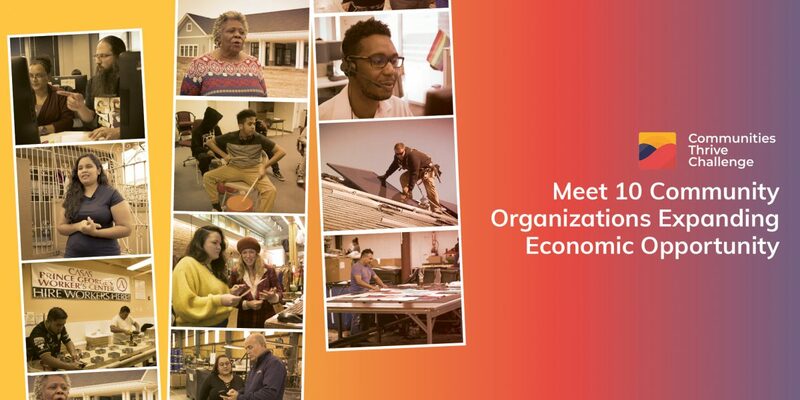 With a mission to provide equitable access to capital, SCCLF finances projects that provide housing and access to food and essential services, attract businesses, employ communities, and stimulate economic activity. Since 2004, SCCLF has financed more than $45 million in loans throughout South Carolina, resulting in the completion of more than $300 million in community development projects. The South Carolina Community Loan Fund and nine other grantees of the Communities Thrive Challenge will receive $1 million to scale their solutions, as well as best-in-class technical assistance. Since launching in April, the Communities Thrive Challenge received an incredible 1,826 applications that spanned all 50 states, D.C., and 4 of 5 U.S. territories. To ensure that community leaders had a voice in the decision making, applications were reviewed and scored by five other applicants in a peer review process. Following the peer review process, over 80 were chosen for evaluation by a diverse panel of experts from academia, policy, business, philanthropy, and community development. Informed by expert and peer review, 20 finalists were selected for the final round. After extensive interviews, site-visits and reviews, the 10 grantees, including SCCLF were chosen. For the final round, teams from The Rockefeller Foundation and the Chan Zuckerberg Initiative visited each of the 20 finalists, including SCCLF in Charleston to learn more about their work and visions for the future. The Rockefeller Foundation and the Chan Zuckerberg Initiative then selected the final slate of grantees who will each receive a $1 million grant and technical assistance tailored to their needs. Founded by Dr. Priscilla Chan and Mark Zuckerberg in 2015, the Chan Zuckerberg Initiative (CZI) is a new kind of philanthropy that’s leveraging technology to help solve some of the world’s toughest challenges – from eradicating disease, to improving education, to reforming the criminal justice system. Across three core Initiative focus areas of Science, Education and Justice & Opportunity, we’re pairing engineering with grantmaking, impact investing, policy and advocacy work to help build an inclusive, just and healthy future for everyone. For more information, please visit www.chanzuckerberg.com.